Is it time to upgrade to 4K? 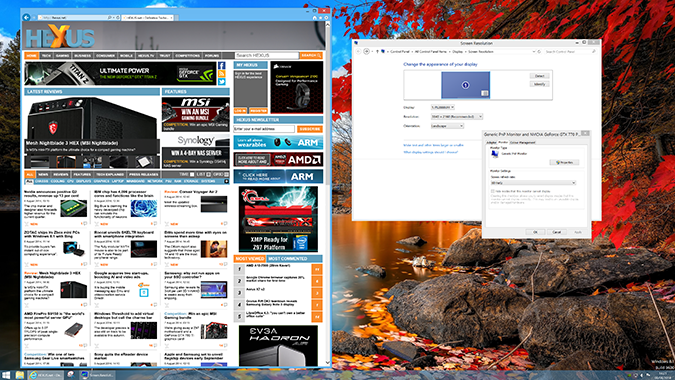 4K monitors have really come of age in recent months. After the initial crop of premium panels back in 2013, the market has seen a steady influx of sub-£500 solutions that are far more attractive to mainstream users. This charge has been led, primarily, by a 28in TN panel that has impressed to such an extent that many manufacturers are lining-up to employ the technology in a display of their own. 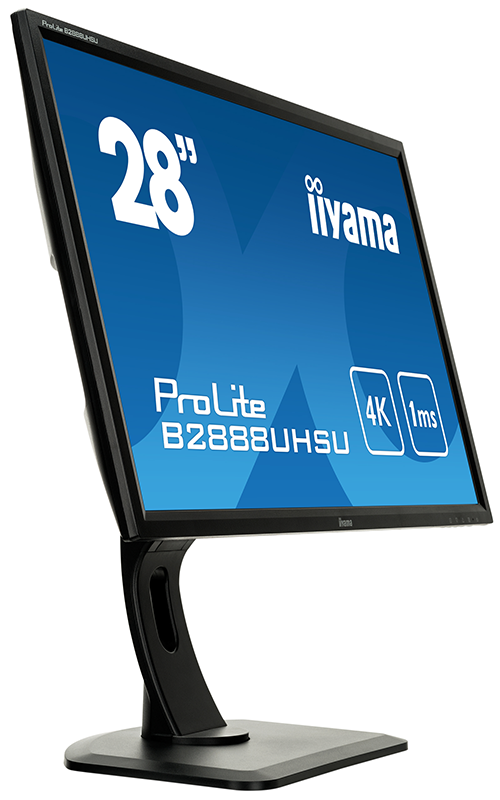 The sought-after panel has already been featured in the likes of AOC's U2868PQU, Samsung's U28D590 and the Philips Brilliance 288P6LJEB/00, and is now being interpreted by Iiyama with the ProLite B2888UHSU. 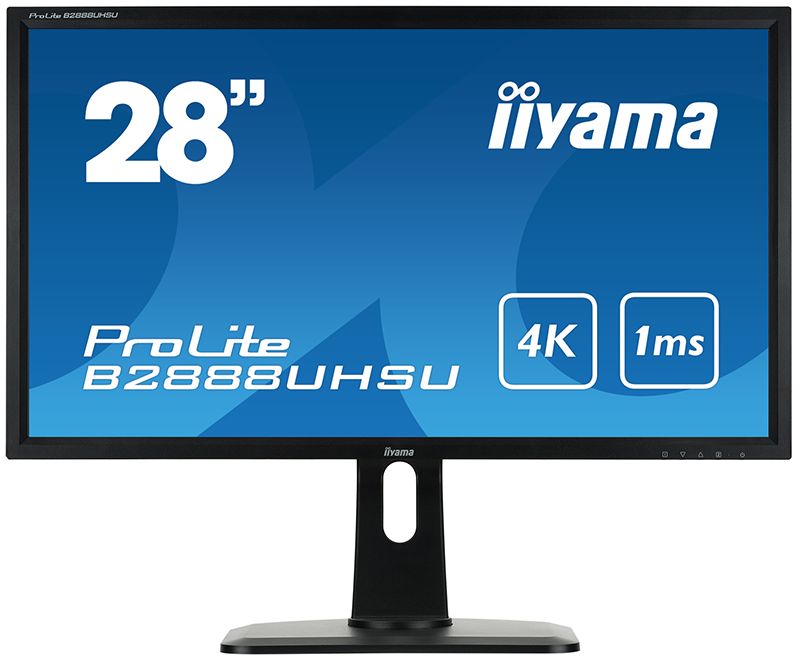 Arriving on the scene slightly later than the competition, Iiyama needs to be competitive from the get-go, and it is as far as pricing is concerned: the B2888UHSU is making its way to stores with a £440 MSRP, making it one of the most affordable 4K displays to date. The fact that a number of monitors are now offering what's essentially the same underlying panel means that manufacturers are having to differentiate through design and implementation. We've seen Samsung favour eye-pleasing aesthetics, while AOC has taken a more versatile and functional approach. Iiyama lands somewhere in the middle. The ProLite B2888UHSU is standard-looking in terms of appearance, with an all-black plastic chassis and a well-weighted stand that, like so many other big-screen displays, attaches to the VESA mount on the monitor's rear. The stand fits securely, but of course in using it you're losing the ability to mount any other VESA-compatible hardware. 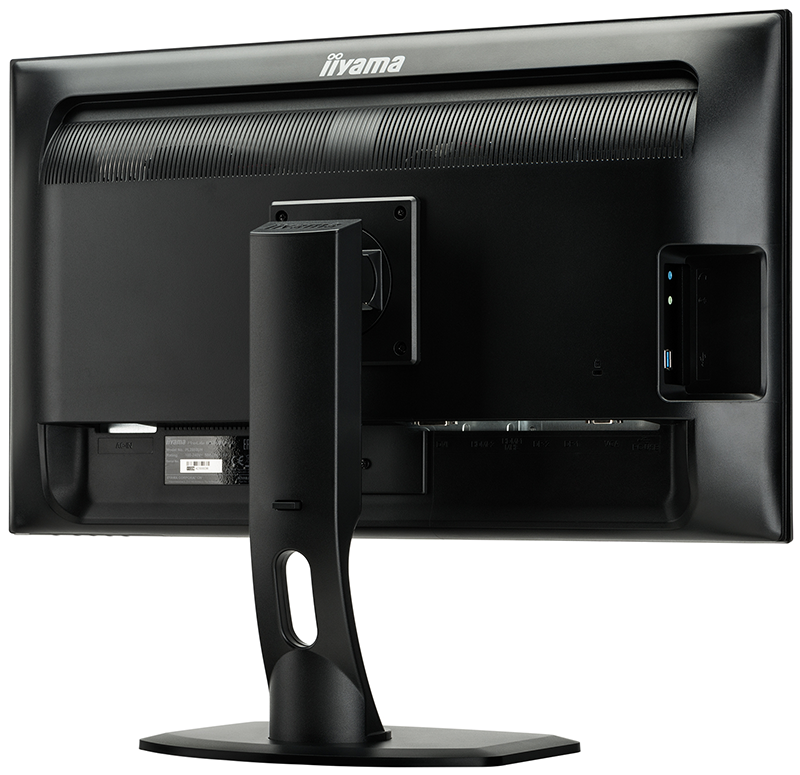 We like the fact that Iiyama has kept the display bezel nice and slim, and the stand is reasonably flexible as it offers built-in height adjustment, the ability to tilt by up to 17º, as well as swivel to either side by up to 45º. The only obvious shortcoming in terms of versatility is that the B2888UHSU isn't able to rotate into portrait mode - a feature, that if needed, is available to the rival AOC and Philips screens. 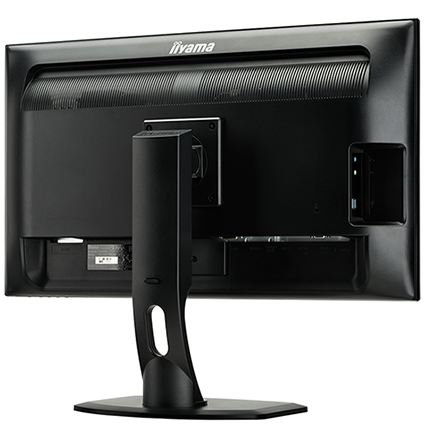 That aside, Iiyama's stand handles all of its available functions well, making it easy to find the optimum angle as well as the desired display height. Adding to the overall appeal, an integrated USB hub offers convenient access to two SuperSpeed 3.0 ports, and the display does include a pair of 3W stereo speakers that are fine for everyday use. On the connectivity front, the B2888UHSU is particularly well equipped. 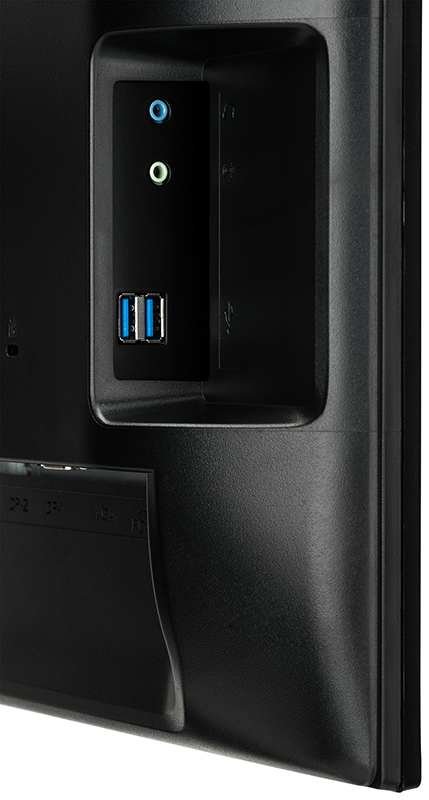 Lined-up on the rear of the panel, the I/O options include VGA, dual-link DVI-D, dual HDMI ports and a pair of DisplayPort 1.2 connectors. 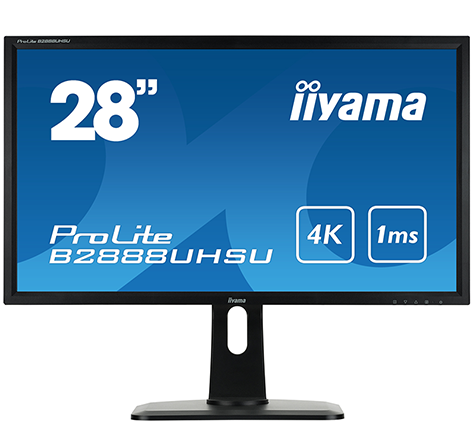 Iiyama has all bases covered, though do be aware that the optimal 3,840x2,160 resolution at a 60Hz refresh rate can only be achieved when using DisplayPort. Finally, power is sourced via a standard three-pin plug. Having a flexible stand, the right inputs and an agreeable price tag is undoubtedly helpful, yet the real reason to fix your eyes on Iiyama's 28in display is the underlying TN panel and its ability to push 157 pixels-per-inch at 60Hz. We'll get to the benefits of the lush resolution in just a moment, but let's start by getting the obvious caveat out of the way: in order to bring down the cost of 4K displays, manufacturers are using cheap-to-produce TN (twisted nematic) panels that simply aren't a match for premium IPS (in-plane switching) counterparts. If it's ultra-precise colour reproduction you're looking for, or near-perfect viewing angles from all directions, you'll find neither on offer here. That said, TN technology continues to improve and this latest crop of 4K panels are among the best examples to date. In keeping with the competition at this price point, Iiyama quotes a 1ms grey-to-grey response time, a typical 1,000:1 contrast ratio and a 300 cd/m² brightness rating. Healthy-if-not-spectacular numbers, and for a TN panel the viewing zone is reasonably wide, too, with the image remaining clear at acute horizontal angles. It's on the vertical plane that the display struggles, as the image does look washed-out when the monitor is tilted forward. In keeping with the other 4K panels using this particular TN screen, the B2888UHSU's key selling point is its ability to deliver a 3,840x2,160 resolution at 60Hz using Single-Stream Transport (SST). Unlike earlier 4K monitors - which used Multi-Stream Transport (MST) and were detected as multiple displays joined together - Iiyama's ProLite uses an upgraded scaler that allows it to be recognised by the operating system as a single high-res panel with a 60Hz refresh rate.